When a young boy falls ill, his grandfather pops round to visit him. To cheer his grandson up, Grandpa has brought a storybook; The Princess Bride, a tale of the love between the beautiful Buttercup and the besotted Westley, a love cruelly interrupted by Westley’s tragic apparent death at sea when seeking his fortune. Heartbroken, Buttercup has sworn never to love again, but accepts the marriage proposal of the rich and handsome Prince Humperdinck, heir to the throne of Florin; but death is no barrier to true love, and in a story filled with exotically-accented swordsmen, big-hearted giants, genius kidnappers, sadistic torturers, vile swamps, Rodents of Unusual Size, the Dread Pirate Roberts and a somewhat embittered miracle worker, the love between Westley and Buttercup twists and turns on a path filled with adventure. 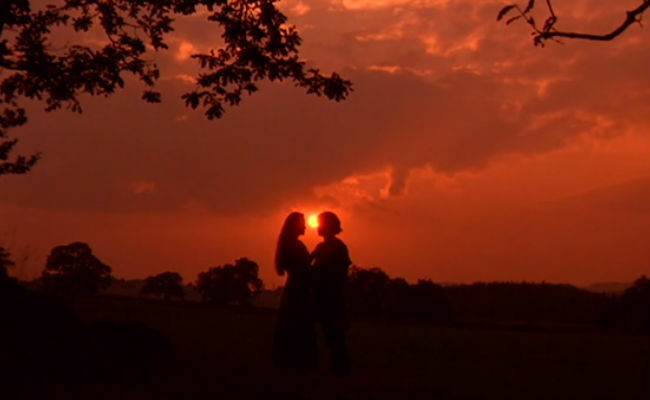 The Princess Bride, based on William Goldman’s sublimely clever book, is one of the most smartly-written, charming, sweet and devastatingly funny fantasy movies in existence. An affectionate send-up of the same genre it happily celebrates, it is a rom-com, a fairytale, a rip-roaring adventure against Dread Pirate Roberts (for there have been more than one), Rodents of Unusual Size and evil princes intent on stealing love rather than gaining through love, twu love. It is nail-bitingly tense, gleefully, goofily funny, stuffed full of more puns than a newly-fed Shrieking Eel and a joy to watch over and over again whenever the need for smart, satirical parody seizes you. And now, thanks to some very smart, talented editing by Phillip Raupach, it is also, quite convincingly I must say, a horror movie of Unusual Scariness, worthy of a pillow/blanket fort of epic proportions. Can you watch this trailer just once? Inconceivable!